For those of you who have been coming to class for a while…. 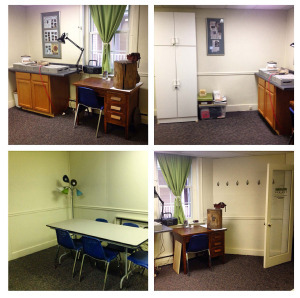 or if you have attended classes in the past….Lots of changes have been made in the space as well as the purchase of some new furniture and tools to make the studio a much more enjoyable and efficient work space. 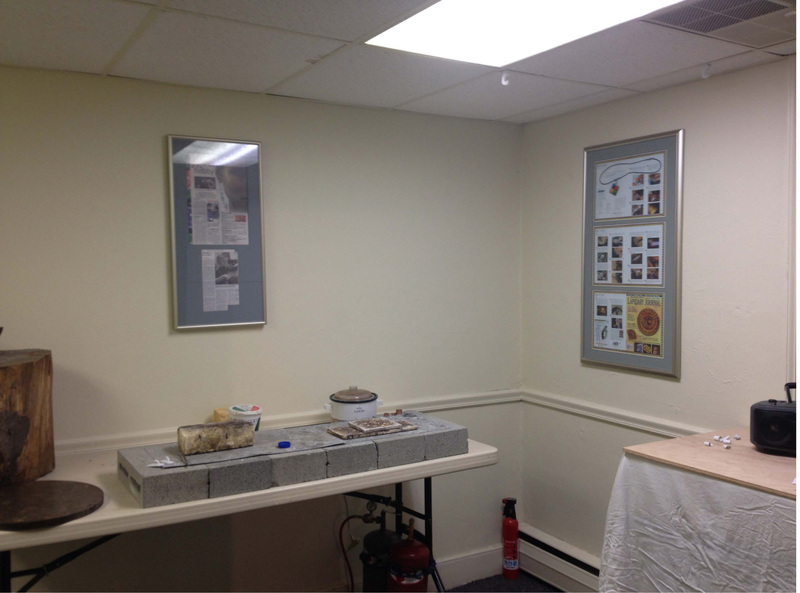 Here is a before and after photo…. 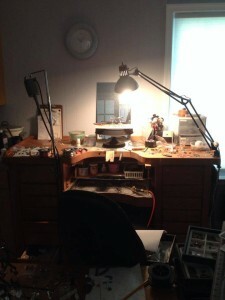 Since my studio is not open to the public, people always ask me about it and where I work. Here is where all the magic happens. This is my bench where I sit and create all of my jewelry that I offer for sale. I love my bench! It has space for everything I use/need and then some! It took me quite a few years and lots of hard work to get my studio space the way it is now but it was well worth it! I love going to work every day!